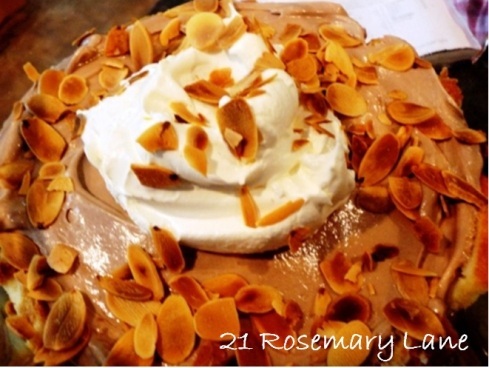 About a month ago I posted one of my all time favorite dessert recipes, Coffee Trifle with Chocolate and Almonds. I have been making this delicious dessert for about 12 years now and it has always been a huge hit whenever I've served it. As a matter of fact I doubled the recipe and took it to my in-law's for Thanksgiving dinner, and all I brought home was a mear scoop which my husband happily ate!